One of the most popular and widely used instruments in the world is the piano. Part of the reason for that is because the piano allows users to make beautiful music. Composers, songwriters and musicians love the piano since it allows them to find the right tunes for the songs they may have in mind. 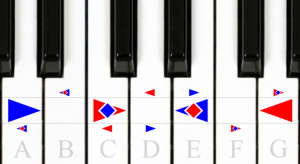 The piano music theory goes over all the basics you need to know about learning to master the instrument. In reality, it is very hard for anyone trying to learn any music theory without using the piano. But what exactly does the piano theory refers to? Whenever you use any instrument, that is the theory of it. It also refers to the sound, which in turn, is what ultimately makes the music. A problem many musicians and musical students often make lies with the theories they learn. In many cases, they learn music theory only on paper, not using the actual instruments. One of the most essential parts of learning about any instruments is the sound. By hearing the sound of the piano playing – or any other instrument – your mind begins to open up to the music. You then begin to develop what is known as a ‘music ear’ which enforces your learning capabilities. Therefore, the best way to learn about the piano theory is by hearing, not just reading about it. In some cases, music theory is the same as solving math problems. However, applying only what you learn and solved, will not work as well as hearing or playing the actual instrument. A case in point is the the harmonies and chords from the piano. If we analyze chord progression in a piece of music such as I-IV-V-I, it can help us understand the basics. However, it is not the same as the same as what you would attain from actually playing the piano. Furthermore, piano students need to learn that the keys on the piano are not the notes. That mistake is often made when students try to take shortcuts in learning. Some of these are learning to play the piano by chords. You may also be interested in reading How Do Deaf People Learn About Music? Keep in mind that while a chord may sound consonant in one way, it can also end up sounding dissonant in another. This is not just an acoustic phenomena, but the involvement of psychoacoustic music listening. At the same time, when learning the piano music theory, one should never rely on the piano keyboard alone. 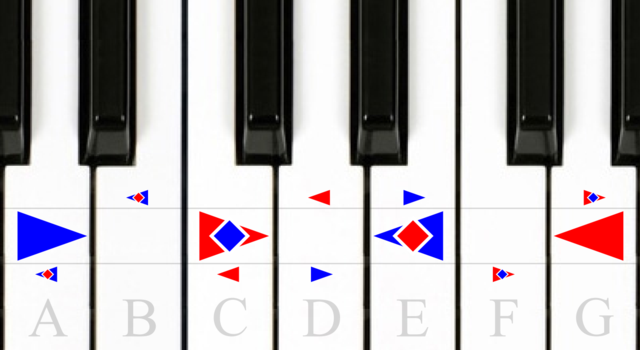 You get piano theory information by reading music. But you develop real musicianship by discerning and understanding the notes you play on the piano.